A mix of old and new pieces were used to create a Classic Contemporary feel in this Southern Suburbs home. The Living room was given a facelift adding in a natural grass cloth feature wall. Custom walnut veneer joinery was designed and built to store AV equipment and DVD’s and featured a Travertine top and ethanol fire place. The family’s existing sofa was reupholstered to extend its life and a custom rug was added to define the space and bring it warmth. The Dining area was decorated in keeping with the classic contemporary concept. Custom chair covers were made to add drama to the space. 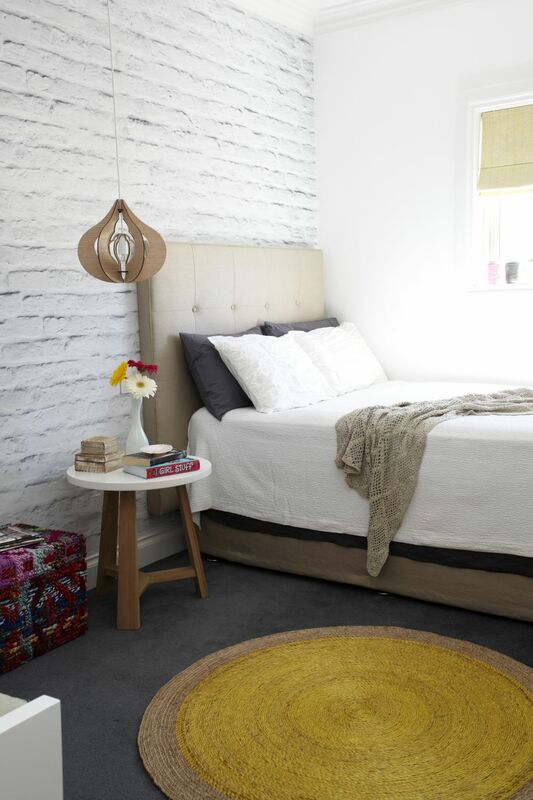 The brief also included re-decorating two teenage bedrooms bringing them in line with their ages and tastes. One of the bedrooms, which was once pink and fairy themed was re-decorated to feature a white brick wallpapered wall, custom bedhead and a custom designed seat for when friends visit which also helped with extra storage.